In setting up an offshore company in Mauritius our preferred route would be the GBC1 structure. GBC1 Companies, which were previously known as “Offshore Companies”, are formed under the Companies Act 2001 and now regulated by the Companies Act 2001 and Financial Services Development Act 2001. The substantial advantage offered by setting up an offshore company in Mauritius (GBC1) is that it may be structured to be tax resident in Mauritius. This in turn means it may thereby access the taxation treaties signed by Mauritius with Belgium, Botswana, China, Cyprus, France, Germany, India, Indonesia, Italy, Kuwait, Lesotho, Luxembourg, Madagascar, Malaysia, Mozambique, Namibia, Nepal, Oman, Pakistan, Russia, Singapore, South Africa, Sri Lanka, Swaziland, Sweden, Thailand, U.K. and Zimbabwe. This makes it extremely attractive to invest in one of these countries through a Mauritius GBC1 Company as taxation treaties provide that profits can then be withdrawn from that country either without the imposition of withholding tax or subject to a substantially reduced rate of withholding tax. Dividends – Although the dividend withholding tax has been replaced by the dividend distribution tax, it is well known that Indian authorities can easily re-introduce this tax in the future. In such a case, the dividend withholding tax will be reduced to 15% under the Mauritius/India treaty provided that the Mauritius company holds at least 5% of the equity in the India subsidiary. Royalties – The usual rate of withholding tax is 30% (this can be reduced to 20% under certain conditions). 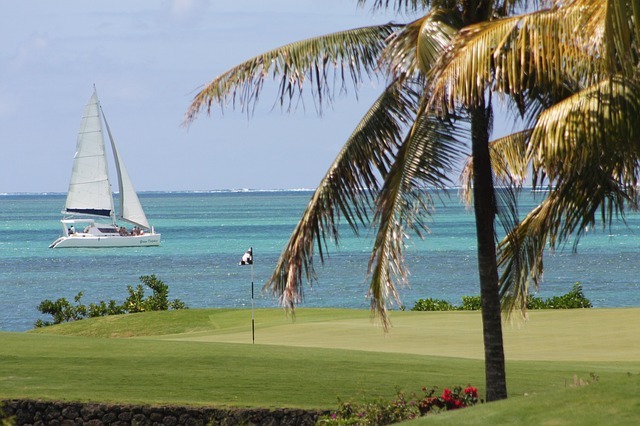 If royalty payments are made to Mauritius then the withholding tax is reduced to 15%. Interest – The usual rate of withholding tax on interest payments made to a non-resident is 20% but under the Mauritius treaty the rate is reduced to 0% if the loan is made to a Mauritian resident bank or a government body. Capital Gains – Long term capital gains, i.e. gains made on sale of assets held for more than 12 months, would normally be taxed at 20% but under the Mauritius/India treaty those gains are exempt from tax in India. Similarly, short term capital gains made by a Mauritius company in India will be exempted from tax in India. The normal rate would be around 40%. Setting up an offshore company in Mauritius (GBC1) provides a structure to take advantage of the taxation treaties signed by Mauritius but it must have the characteristics mentioned below. With regards to taxation, a GBC1 company is subject to 15% tax on profit but the company is entitled to a deemed foreign tax credit of 80% of the tax payable: i.e. the net effective rate after deduction of the deemed foreign tax credit is 3%. Capital Gains are exempted from tax in Mauritius. The company can be wholly owned by 1 shareholder. Bearer shares are not allowed. Details of the shareholders must be reported to the Companies Registry and to the Financial Services Commission. Only shareholders have a right of inspection. Please note that references, details on the track record and copies of passports of the beneficial owners must be given to the Financial Services Commission. Where the beneficial owners are body corporates, latest audited accounts and corporate profile must be submitted to the Financial Services Commission. A company shall have at least one director who shall be ordinarily resident in Mauritius. Corporate directors are not permitted. A director is required to give his consent to act as director by filing form 7 with the Registrar of Companies. Shareholders have the right of inspection. The Registrar shall be notified within 28 days of any change in Directors. It is important to note that if the company wishes to access the taxation treaties then 2 Mauritius resident directors, who are approved by the Financial Services Commission, must be appointed. A GBC1 Company must file audited accounts within 6 months of the close of its financial year. Non-compliance may result in revocation of the global business licence. A GBC1 may prepare its financial statements in accordance with the International Accounting Standards or with any other internationally accepted accounting standards. The first audited accounts for the Company will have to be prepared for any period of 6-15 months from the date of incorporation and in respect of every subsequent financial year for a period not exceeding 12 months. Subject to name approval a GBC1 company can be incorporated within 10 working days. Ready Made companies are not available because of the need to report the details of the beneficial owners to the Financial Services Commission. With regards to restrictions on name and activity, the following words cannot be used in English or any other language: Authority, Bank, Chamber of Commerce, Chartered, Cooperative, Fund, Government, Insurance, Investment or Management Services, Mauritius, Municipal, National, Regional, Presidential, Republic or State. Names should end with Limited or Corporation. If the Mauritius GBC1 Company wishes to qualify for benefits under a taxation treaty signed between Mauritius and another state, then effective control and management must be exercised from Mauritius and the Company must, inter alia, have a Mauritius based auditor, two Mauritius resident directors and a bank account in Mauritius. The Mauritius resident directors must be approved by the Financial Services Commission. We are pleased to provide approved Mauritius resident directors. We would recommend that accounts be opened with the major international banks such as Hong Kong and Shanghai Banking Corporation or Barclays Bank Plc. As part of the domiciliary services package we provide a registered office address in the jurisdiction of the incorporation of your company in order to meet the local statutory requirement. However, (unless the company is completely dormant) banks, accountants and other service providers may need to write to the company and therefore must be provided with a correspondence address. Finally when setting up an offshore company in Mauritius (GBC1) the company must obtain a Certificate from the Mauritius Tax Authorities stating that the relevant requirements have been complied with for the Company to be considered a Mauritius tax resident company and therefore that the Company may fall within the terms of the tax treaty – the Tax Residency Certificate (“TRC”). This information has been supplied to Intergate Immigration from CAP Chartered Accountants who are able to offer advice on a number of issues pertaining to the setting up of an offshore company in Mauritius and the subsequent running thereof.